Fallout 76 Announced | Nerd Much? Well that didn’t take long. Bethesda just began teasing something Fallout related yesterday. And now, just a day later, we have the full reveal. Fallout 76 has been announced. And now we have more questions than answers. The game is being developed internally by Bethesda Softworks. The same crew that brought us Skyrim and Fallout 4 are developing Fallout 76. 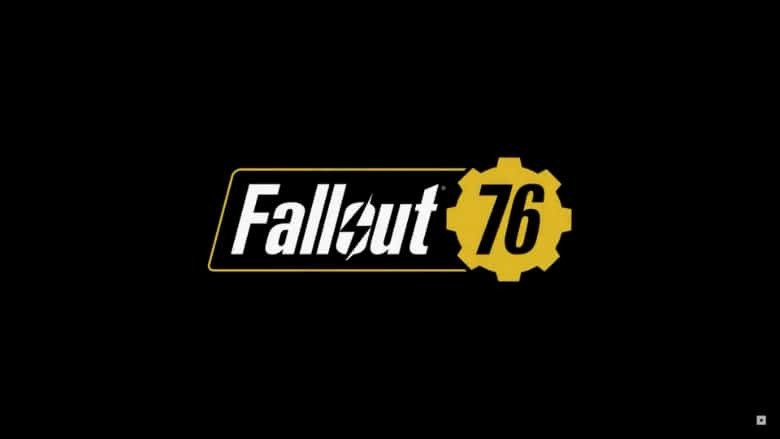 76 seems to have double meaning within the game’s title. Your character is a survivor from Vault 76. And the game also appears to take place in the year 2076. We don’t get much from today’s teaser trailer but there are a few details of note. Vault 76 looks to be well maintained and in line for a celebration. The trailer begins in an adolescent’s bedroom and there’s an invitation to celebrate on the computer. There’s confetti flung all over the place with blue and yellow balloon scattered throughout. A banner hangs from the rafters noting the occasion is Reclamation Day. Kotaku’s Jason Schreier has reported that Fallout 76 will be “an online game of some sort.” There’s also speculation that the game will take place in rural West Virginia as John Denver’s “Take Me Home, Country Roads” plays prominently in the background. The vault was also mentioned in passing during the events of Fallout 3, and the vault is located in West Virginia. While Bethesda was happy enough to give us this first look at Fallout 76, a first look is all we’re getting. The studio will pull the rest of the curtain back during their E3 Showcase on Sunday, June 10th at 6:30 p.m. Pacific, 9:30 p.m. Eastern. And if we’re lucky, maybe we get a 2018 release date similar to how the publisher rolled out Fallout 4. I suppose we’ll find out next Sunday, we’ll see you there. Editor’s Note: I’ll note that people are throwing around the term Fallout Battle Royale, and that’s likely not what we’re going to see here. In the trailer, you can see what looks like a sort of multiplayer shooter map briefly. Rumor has it that Fallout: 76 IS some sort of multiplayer game, although from what is being said around the net, it’s an RTS. Obviously, we won’t know more until E3, but we had to note that it’s likely not a Battle Royale game. Do We Really Want to be Alone in the Wasteland? Fallout Co-Op: Do We Want to Be Alone in the Wasteland?